Close to Central Florida attractions and the sandy beaches of the Atlantic Ocean. Nestled in the heart of Cocoa Beach this newly renovated Hampton Inn offers an environment that’s both relaxing and peaceful. Located just minutes from Port Canaveral, Kennedy Space Center and steps from the sandy beaches of the Atlantic Ocean, this friendly and comfortable Hampton Inn is perfect choice while vacationing in Cocoa Beach. 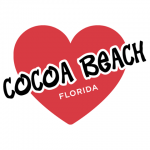 This all balcony hotel is close proximity to entertainment, dining, and shopping options here in Cocoa Beach.